In a world where your competition is on your heel, you need the right execution that will boost you ahead. That was the target when Eurobank contacted RMK. 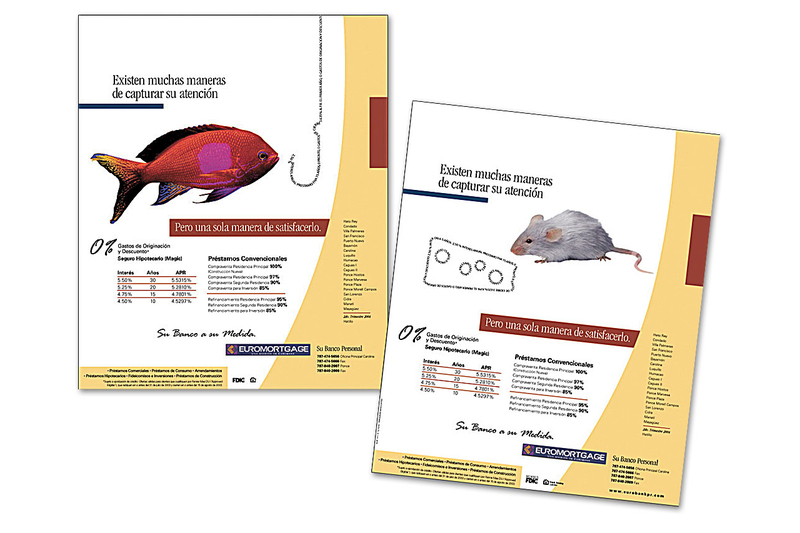 Working together with Paradigm Associates in San Juan, Puerto Rico, we developed a creative print campaign that showed the flaws in the competition. The result was higher traffic and new clients to Eurobank.